If you prefer to call for your taxi in advance, our Dispatch Staff will take your call hours or even days prior your requirement. We can take pre-booking over the phone, thru website or Android or apple app. Request a ride from the largest taxi firm in Vancouver in just seconds. Available 24/7 and just one tap away; the Taxi app provides the fastest and most reliable hailing a ride in Vancouver. 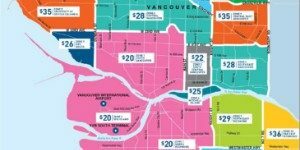 Vancouver Taxi Cabs – Our New App! Proudly serving our guests since 1921. 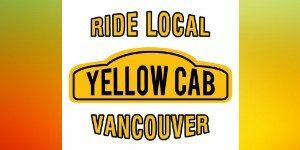 Yellow Cab Company Ltd. of Vancouver is an owner-operated company serving the residents, tourists and business professionals in The City of Vancouver and surrounding area since 1921. 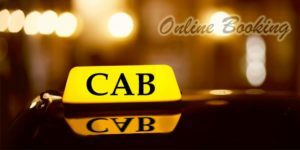 Yellow Cab prides itself on being the leader in the Vancouver taxi Service industry in British Columbia and is presently the longest operating Vancouver Taxi Company in the Lower Mainland of British Columbia. If you want to buy Gift Certificates please call 604-258-4700. Please be patient with us in the event of a snowfall. If you need a taxi, and your street has not been cleared call us and we will be happy to help you to a location where you can access your taxi. With a fleet of 355 taxi cabs on the road, available 24 hours a day, Yellow Cab features 37 Wheelchair accessible Taxi vans and more than 200 hybrid electric vehicles, making it the largest Vancouver Taxi ServiceB.C. If you need a cab from downtown chances are, the first one you will see is a Yellow Cab. We also offer more direct lines in hotels, restaurants, nightclubs, and retail locations than any other company in the city. We as Vancouver Taxis offer Vancouver airport taxi, wheelchair taxi Vancouver, cab company, Vancouver airport transportation, YVR taxi service, jump start, Delivery Service, transportation to Ferry, Vancouver Cabs, Hotels to Airport, Night Clubs. As we are biggest cab company, we can serve more areas faster than anyone else. An attractive feature of Yellow Cab is that most of its 325 shareholders are also active owner operators owning at least one half of taxi share in the Yellow Cab fleet. The pride of ownership is obvious when you view the well-maintained vehicles, which are cleaned inside and out on a daily basis. Yellow Cab provides its drivers with the most comprehensive training program in the Lower Mainland Vancouver Tourist Attractions Stanley Park, Capilano Suspension Bridge, Shopping on Robson Street, Canada Place, Gastown, Granville Island, Vancouver Aquarium, Grouse Mountain, Dr. Sun Yat Sen Gardens. Book a taxi in under 10 seconds and experience exclusive priority service from the largest taxi firm in Vancouver. You can place the booking directly on our map, and see how many available cars there are nearby.